Welcome to Ocean Breeze west located directly on the sandy beaches of Perdido Key, overlooking the beautiful emerald water of the Gulf Coast. This complex supplies several quality amenities for its guests such as a seasonally heated pool, tanning deck, outdoor shower stations and a private beach. Perdido key offers seclusion to your gulf coast vacation, yet access to endless close by activities. If you are looking for places to dine in the area, local favorites, Lillian’s Pizza and The Shrimp Basket are within walking distance and Flora-Bama, Fisherman’s Corner, and Crab Trap are just a short drive away. You can spend the majority of your trip enjoying all of the activities and relaxation that the beach has to offer, if you need a break from the sand then go explore all the area has to offer! There are several high quality golf courses in the area and endless shopping. 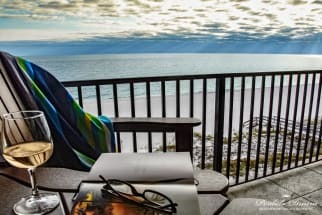 Perdido Key truly is a dream vacation haven. 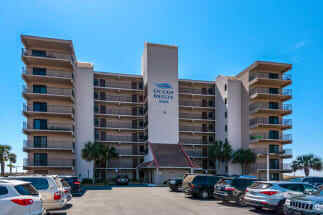 Emerald Coast by Owner wants to help you book your next vacation to Ocean Breeze West. Please contact one of our property owners directly and they will gladly help assist you in booking your next vacation property. ECBYO does not charge any service fees when you book with us, so book online today and save! We hope you enjoy your stay on the breathtaking Emerald Coast.